The labrador retriever bounded into the forest, closely followed by a truffle hunter. I scrambled to keep up. What we were doing would have been illegal in Slovenia only a few years ago. Environmental restrictions officially banned commercial truffle hunting in Slovenia until 2012. Food enthusiasts wanting to experience the thrill of finding the fungi in the forest had to travel across the border to Croatia or Italy. 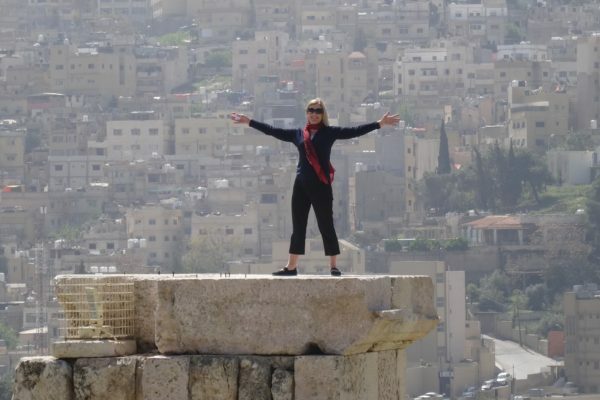 But it has always been a way of life for people like our guide, Sara. As a little girl, she followed her dad and his dogs into the forest. Any police they encountered on their truffle hunts didn’t mind looking the other way. A bigger concern was the wild pigs who would find and eat the truffles before the dogs could sniff them out. 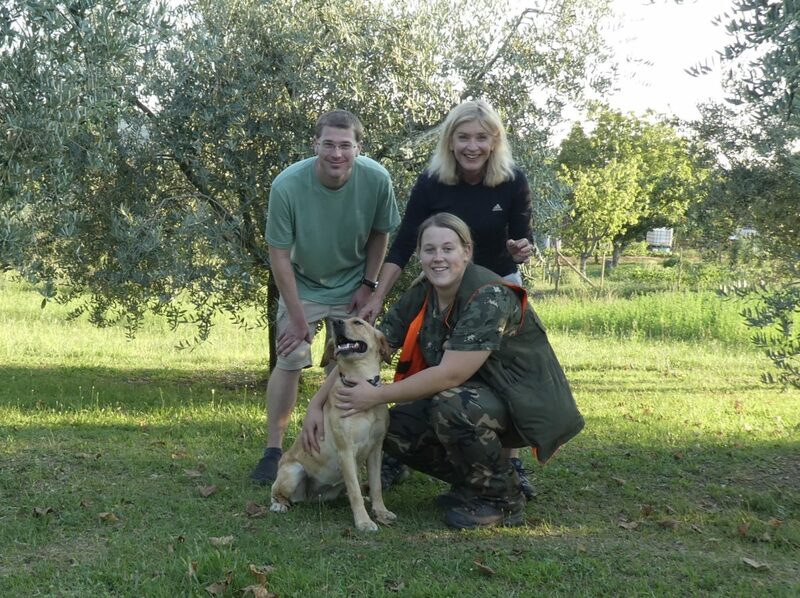 Now a twenty-something, Sara is completing her masters’ degree when she’s not guiding truffle hunts for visitors. “I was looking for truffles and I found Sara,” says Lado Rot, who promotes the tours on his website. Slovenia and Croatia share the idyllic peninsula known since the Roman times as Istria. However, local residents were not aware of the “black diamonds” beneath the forest until the period between the two World Wars, when Italian engineers noticed the terrain was similar to the truffle-producing parts of Italy. Istria produces both black and white truffles, depending on the time of year. The white truffles found in the winter are one of the world’s most expensive foods, fetching up to 2500 euros per kilogram according to RTV Slovenia. The more common and less expensive black truffles are found in the summer. Truffles are a fungus that grows underground in symbiosis with tree roots, but the process is random. Not every tree is truffle-friendly. Farmers around the world have experimented with planting trees likely to generate truffles and the results have been mixed. 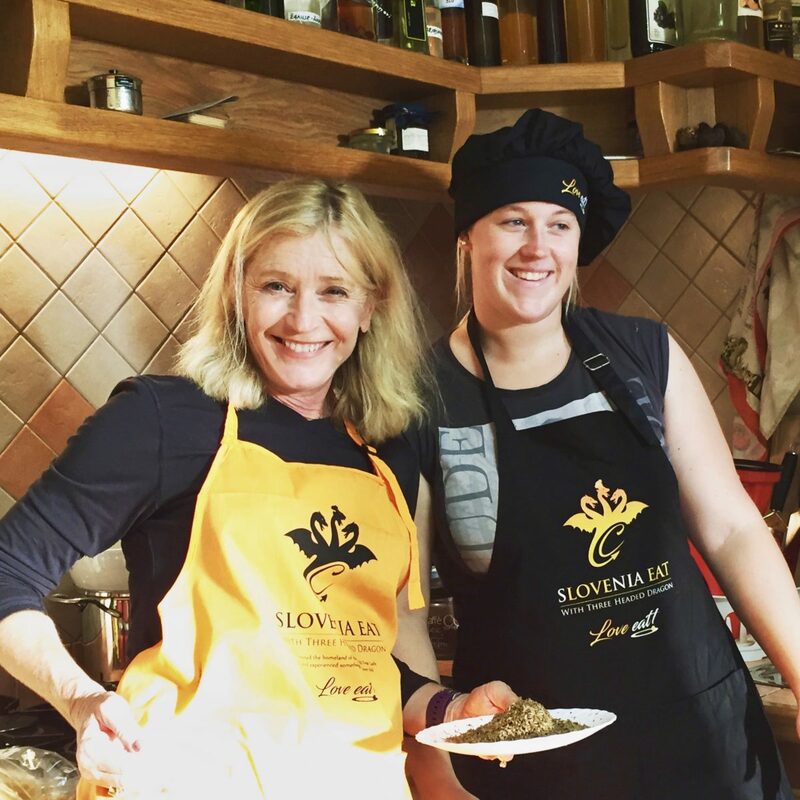 For now, chefs in Slovenia either import truffles or depend on a few locally active truffle hunters like Sara to track them down. 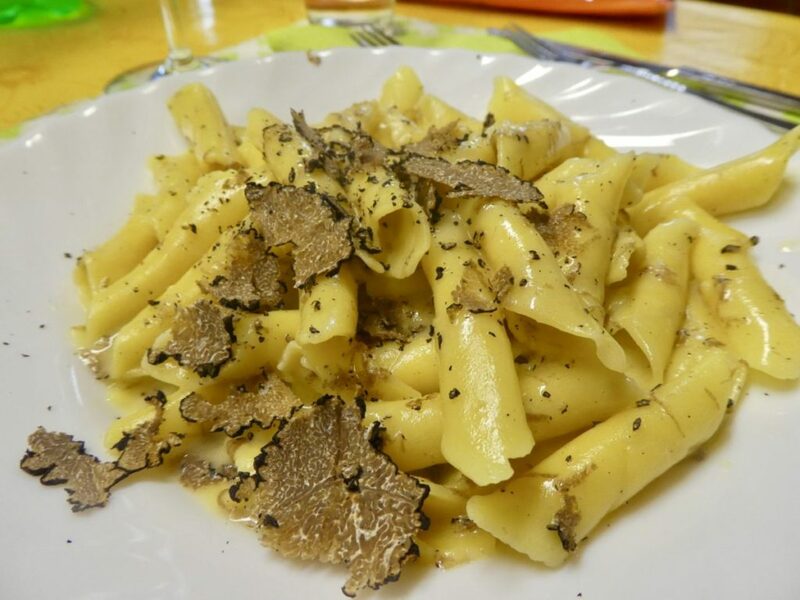 Homemade fuži pasta with truffles, forest to table. You’ll burn some major calories chasing a truffle dog through the forest of oak poplar and beech trees. 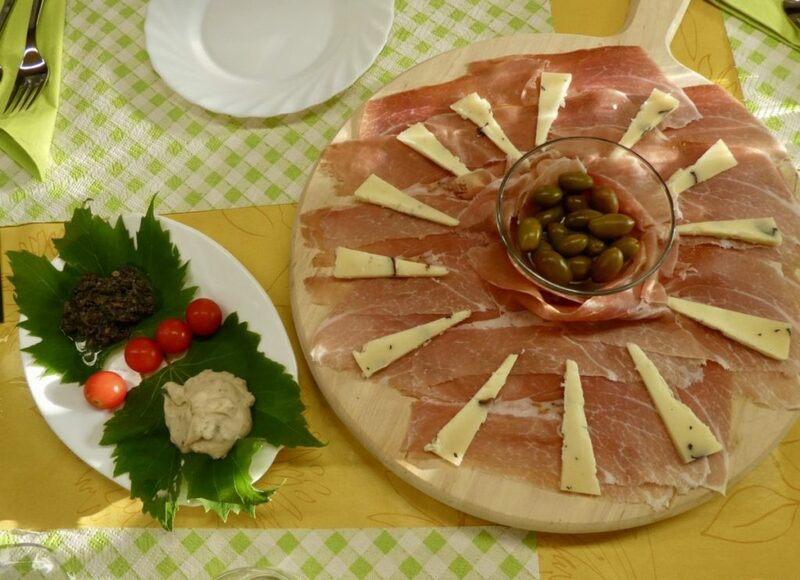 Guests are welcomed with a pre-hunt appetizer of local pršut (ham), olives and truffle cheese. Both white and black varieties of truffle pate are offered as a spread on fresh bread. After the hunt, Sara quickly swaps her sweaty camouflage fatigues for a chef’s apron and toque. She boils freshly made fuži pasta. In minutes, she whisks together a cream, butter and egg yolk sauce featuring a generous amount of truffles — more than you’re likely to get in a typical restaurant dish. The dark, smoky taste is unforgettable and pairs perfectly with local malvazija (white) and refošk (red) wine. A pre-hunt snack of truffle pate, cheese, hame and olives. How to book: Book your truffle adventure through this link. 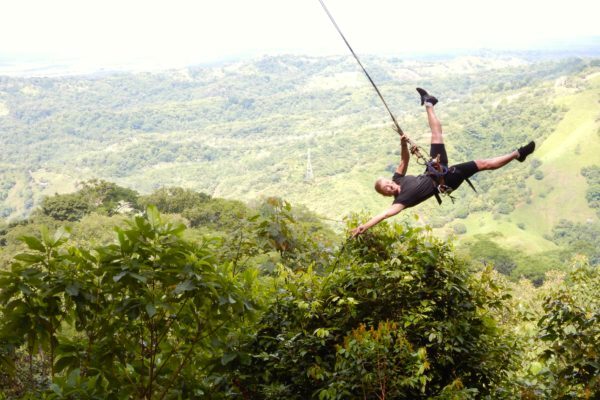 The experience is offered year-round, either in the early morning or late afternoon. Prices depend on how many people are in your group and if you want to have lunch or stay overnight. Transport from Koper is not included but can be arranged for those not renting a car. Travelers coming from Ljubljana or a cruise ship in Koper might want to hire a local guide to make the arrangements. I found Sara’s truffle farm because of my friend Mateja, a top Ljubljana-based tourist guide. 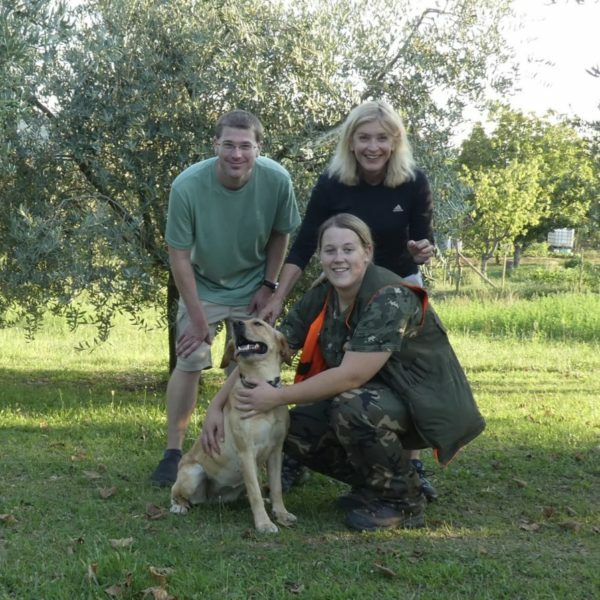 What to bring: You’ll be chasing a fast truffle dog through the forest, so sturdy hiking shoes and protective clothing to cover your arms and legs are must-haves. Sara offers her guests tick and mosquito repellent before setting off into the woods. Disclosure: I was a guest of Slovenia Eat with Three Headed Dragon, the company that promotes the truffle experience and sponsored this post. Post reflects the experience the typical visitor could expect at the time of my visit. Research and opinions are my own. You should also know that real truffle hunting takes more time. Sara tells visitors that she buries a few truffles in the forest for Liza to find, so that guests can be sure of seeing the dog unearth something during their short visit. What you’re seeing is more like a training exercise for a truffle-hunting dog. A very good dog!